Orange County held a very special Memorial Day Service at the Orange County War Memorial in front of the Courthouse in Orlando this morning at 10:00 a.m. This Ceremony remembered all who paid the ultimate price for our freedom, especially honoring local heroes Second LT Michael McGahan and Corporal Patrick Deans who were killed in action, whose names were unveiled by Mayor Teresa Jacobs and COL Tom Walters (Ret.) on the Memorial Wall. Many a tear was shed at this Ceremony, even by Mayor Teresa Jacobs, who knew Michael McGahan personally. 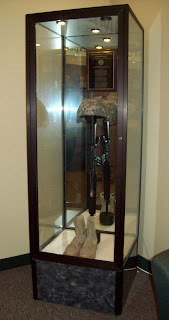 Also honored at this Ceremony was Medal of Honor recipient, Army Staff Sergeant Robert Miller. 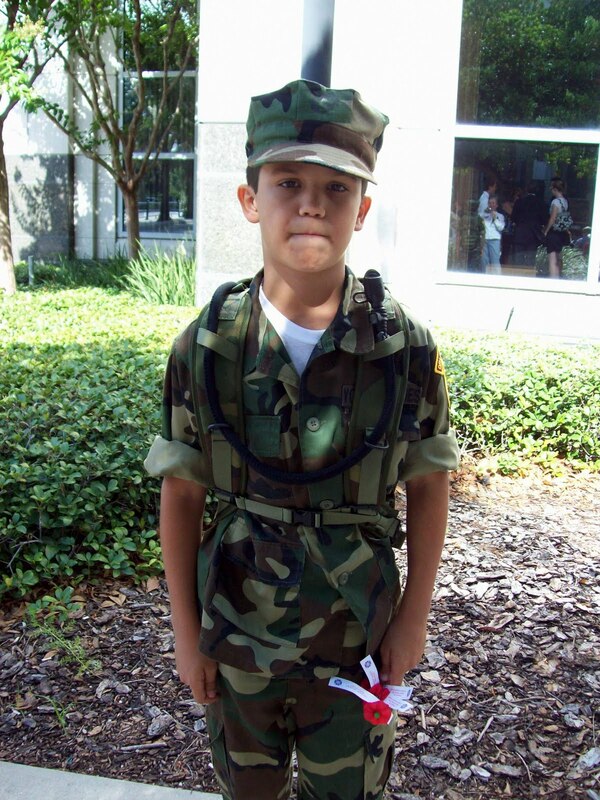 This Event was sponsored by the Orange County Mayor's Veterans Advisory Council. "We will never forget!" Our very own Winter Garden celebrated Memorial Day with a beautiful Ceremony in Veterans Memorial Park on Park Avenue at 8:30 a.m. which we were honored to attend with many other patriotic locals. We were welcomed by our Mayor, the Honorable John Rees, followed by Police Explorers of Post #901 Color Guard. The National Anthem, "God Bless the USA" and "Go Rest High on that Mountain" were beautifully rendered by Geoff Bashioum. The Speaker was Navy Chief Petty Officer Dan Huhl. His speech was absolutely outstanding! Thank you to all the brave men and women who gave their lives for our freedom, and to all the families involved! We so appreciate you! Please accept this complimentary membership to The Fellowship of Christian Firefighters International. Enclosed please find an Encourager, your pins, patches, decals, and membership cards. We are blessed knowing you and we are thankful for the way you reach out with God's love to first Responders. Because of your kind call several years ago you have made it possible for FCFI to reach many with the wonderful materials your Ministry, Operation Safety 91, provides and with those materials from the 1687 Foundation. The books and pins are wonderful and with the addition of the Psalm 91 cards, many have learned the importance of having God's Shield of Protection. Keep on serving and may God bless as you bless others. Thank you, Gay and Sue, for this tremendous honor!!! We are so touched! Ocoee Police Officer Duane Hunt performed a touching rendition of our National Anthem. Mayor Scott invited each attendee to introduce him or herself and say why they came. Veterans from several Wars plus Ocoee Police and Fire Departments gathered to remember those who gave their lives for our freedom. At the end of the Ceremony, all the attendees took a small flag and walked from the Gazebo to the Veterans Memorial where each put their flag in the ground surrounding the flowers. The Ocoee Police Honor Guard did the Flag Raising Ceremony, leaving the Flag at half mast. Thank you Mayor Scott! Orlando Police Department's new Police Chief Paul Rooney was presented with a gift of a Psalm 91 plaque today as a gift from Operation Safety 91. Chief Rooney replaces former Chief Val Demings and the official transition will take place at the Amway Arena on June 9th at 10 a.m. Chief was so happy to receive the Psalm 91 plaque and will hang it right next to his desk. Chief Rooney has been a blessing to Operation Safety 91, attending our Annual Tribute Events, as well as being instrumental in arranging that many, many OPD Officers attended OS91's Leadership Conference by COL Danny McKnight. OS91 appreciates you, Chief Rooney, and prays for your daily! Congratulations on your appointment! Operation Safety 91 has been partnering with Operation Creekside for several months to send our Psalm 91 cards and the Psalm 91 books to our troops in Afghanistan and Iraq. 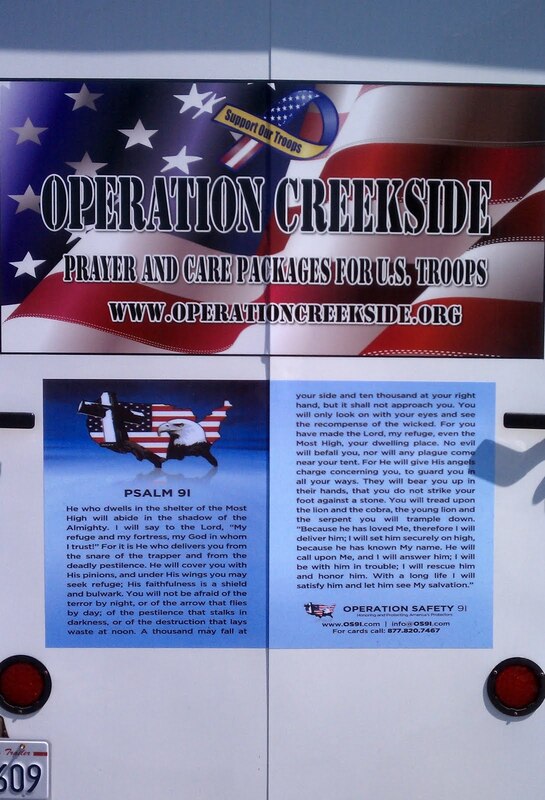 Now, Ed McClelland, Founder of Operation Creekside has put an image of our Psalm 91 card on the trailer for everyone to see! A huge Thank You to Ed for your gracious gift! What a blessing! Ed writes in an email to OS91: "1st day out with the trailer, Joseph and I are in Oakdale, CA and I am talking to a man in front of Tractor Supply- general farm talk until he sees Psalm 91 on the Operation Creekside trailer. He went right into testimony about what that Psalm meant to his wife, about being a Christian and how this country was built under God!! During the conversation a Viet Nam Vet walked up and we both got to thank him for his service and hear some of his incredible story!" 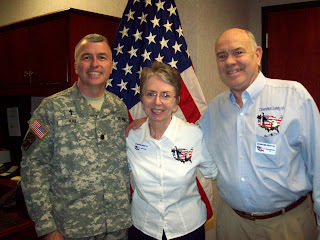 This afternoon Ed and Mary met with Chaplain (LTC) Brian Ray, 143d ESC Command Chaplain at the Orlando Reserve Center. What a blessing! Chaplain Ray supervises the work of 19 unit ministry teams representing 10,000 Soldiers in 10 Southeastern States. OS91's goal is to reach as many Soldiers as possible with the help of this devoted Chaplain and his referral. Chaplain Ray had a copy of Peggy Joyce Ruth's Psalm 91: God's Shield of Protection, and assured us that these books were getting to the Soldiers! He has joined us in our effort to get the Psalm 91 cards into Responders' hands and invited us to C.A.S.T., Chaplains Annual Sustainment Training being held at the Rosen Center in Orlando, June 13 - 16. At this Event, OS91 will be able to reach Military Chaplains from all over the Southeast. We will also be attending The Yellow Ribbon Event on June 25th. 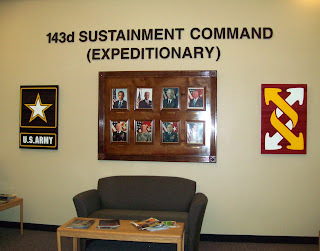 "I am blessed to have an extremely supportive command team. My commander COL Mark Palzer, and my supervisory chaplain CH (COL) Stanley Puckett, have created an amazing environment for chaplains to minister to soldiers and their families during this important time in our nation's history." Many thanks to you, Chaplain Ray for your service to God, our Country and our Troops! OS91 partner Ed McClelland of Creekside Ministries in California shared this with me. Now this is such a great WELCOME HOME from Afghanistan for a Soldier!!! We appreciate you too and have given so many of your cards is many places! They are a God treasure He has given you! It is an honor to stand with you in bringing the truth of God's powerful protection! The books are great too! Especially having the Spanish ones here in California! Trusting the Lord for Many open doors in Alaska and taking hundreds of your cards with me! OS91 attended the 10:30 a.m. Service Celebration Honoring Law Enforcement at First Baptist Church in Apopka this morning. Our Congratulations to Pastor Paul Gordon and the Church for an outstanding Tribute Service honoring all Law Enforcement Officers in the persons of more than 50 members of he Apopka Police Department led by Chief Robert Manley. What an inspiration! We are still seeing so many blessings from Psalm 91. This is from a missionary in a very sensitive country, so I can't share his location. But I wanted you to know Psalm 91 has helped carry him as he's fighting cancer and the missionary field. I just wanted to share with you how much Psalm 91 has come to mean to me especially in light of the recent diagnosis. I read it almost every day and brought the book along by Peggy Joyce Ruth. It has been a real source of strength as we enter our target country and deal with my physical situation too. In case you hadn’t heard, I had blood work done here last week. My levels had started out at 27 at the time of diagnosis, they then dropped to 17 a week after treatment started and last week were at 1.52. I know many have talked to Dad about this and He has done the miraculous. I don’t discount the medicine, but I know a drop like that had some big help. What an incredible weekend of loving and refreshing our Soldiers. Thank you for the Psalm 91 materials and for praying for all of us as we went to San Antonio, TX for a Yellow Ribbon event with over 500 soldiers and family members. YOUR love refreshed their hearts. We were able to place close to 350 Psalm 91 books & children book into their hands, and give them a hug, prayer and listening ear. Some broke into tears and one even crumpled to the ground overcome with emotion. A simple message,"You are not alone, God loves you and people are standing in prayer with you", was the key to unlock the emotion they were holding secretly inside. John 14:18 promises "I will not leave you orphans (alone) I will come to you." Simple but staggeringly powerful. I looked into eyes this weekend of wives wondering if today is the day someone knocks on their door delivering the message that they have lost their husband. Eyes of Soldiers 30 days from deployment, on the surface strong but underneath fearful. 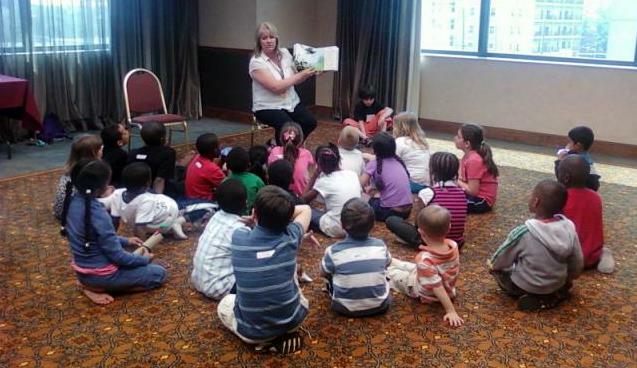 When we were reading the "My own Psalm 91 book" in the kids session, a 5 year old boy looked up at me and quietly said, "I miss my mommy." We sat at lunch with a wife of a soldier and their 10 year old special needs son. As I watched her feed him, wipe his mouth and love him; I could not imagine what she goes through on a moment by moment basis. Her husband has been deployed for the last 6 months, currently there is no replacement unit so there is an indefinite time frame before he comes home. We prayed with a young 20 year old girl, a newlywed who's husband has been gone since August. In tears she shared "its like he is dead, not real, I battle with divorcing him, I don't know if I can make it." God touched people, encouraged people and gave them hope. Words can not express how appreciative we are that you stand with us. Lay your head on the pillow tonight knowing God is using your prayers to make a difference. It was a miracle that God sent you to (us).